Effective food waste pre-treatment is essential to ensure efficient performance of the digestion process. These wastes need to be free of contamination like plastic and other packaging materials, cardboard, metal pieces, wood particles, glass pieces etc., and then they need to be converted into a homogeneous organic mixture suitable for anaerobic digestion process. BioPrePlant-System’s food waste reception is a multi-waste system where food waste from households, supermarkets, restaurants and other wastes are collected together without any sorting or de-packaging. 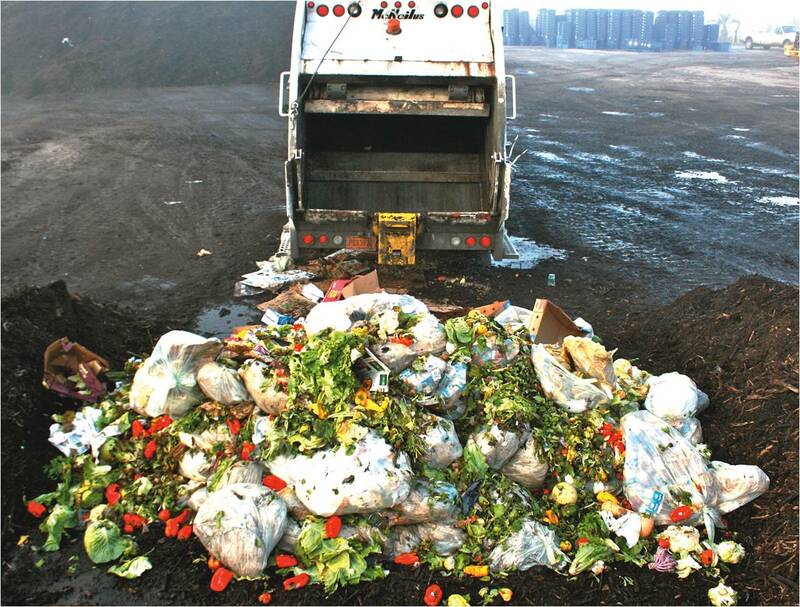 The mixed food waste is then automatically transported for further treatment and separation. In the next stage of the process, packaging bags and other food containers such as tins are opened and ferrous metals are removed by using the BioPreCrusher machine. The BioPreCrusher is very important part of the BioPrePlant-System as it prevents undesirable metals and other larger objects from entering into the process. The BioPreCrusher contains a crusher, a transport conveyor and a magnet. In this step, larger non-crushable objects are automatically discharged from the machine as well. Material transportation in a BioPrePlant-System is conducted via spiral conveyors or pumps to ensure a clean and efficient system. As per manufacturer claims, it also minimizes spillage and leakages during operation that improves the overall working environment and surroundings. The next stage is a patented process machine called BioSep. It is dedicated to separate plastics and packaging material from mixed food waste. This machine separates, washes, and dries plastics and food packaging material and discharges them out of the machine as reject. BioSep Stage 2 has the similar function as BioSep Stage 1. The difference is that BioSep Stage 2 has a finer masking of the sieve that ensures separation of even small pieces of plastics and packaging material that wasn’t separated in BioSep Stage 1 in order to utilize the resource in food waste optimally. A biosubstrate suitable for anaerobic digestion is the end product from a BioPrePlant-System. Manufacturer claims that the particle sizes of the organic material, and the amount and sizes of the remaining impurities are well within the technical and environmental requirements for biogas production. SpiralTrans uses a number of proprietary process components to produce a biosubstrate feed for digester that is free from plastic and other unwanted reject fractions. They claim that both the biosubstrate and reject fractions are of high quality that can comfortably meet the demands. The pre-treatment plants receive food waste in receiving bunkers. Then they get transferred by spiral conveyors to the BagTronic® plant, which is an automatic sorting system that separates waste bags of different colours for further processing and handling. Then they get sieved, purified, grinded and mixed in the next several stages by different spiral screens, grinders and magnetic separators etc. SpiralTrans uses OrgaSep© process for further purifying the digester feed. The OrgaSep© separates plastic and other contaminants from the biosubstrate to produce an end product that is a purified and pumpable. In Sysav Biotec’s pre-treatment plant, food waste is converted into pumpable, viscous slurry as the end product. Sysav’s pre-treatment plant can receive three type of food waste and they receive pre-treatments accordingly. Discover more on Sysav food waste pre-treatment.